Corner of Blake & W. Sweet Ave.
Chinese culture – its food, clothing and styles of music – is different in many ways from American culture. Graduating senior Yue Lu has found the most effective way to translate this difference for others is through music. “Your experience is influenced by your colorful life. Going abroad is different,” Lu said of his experience traveling to America. 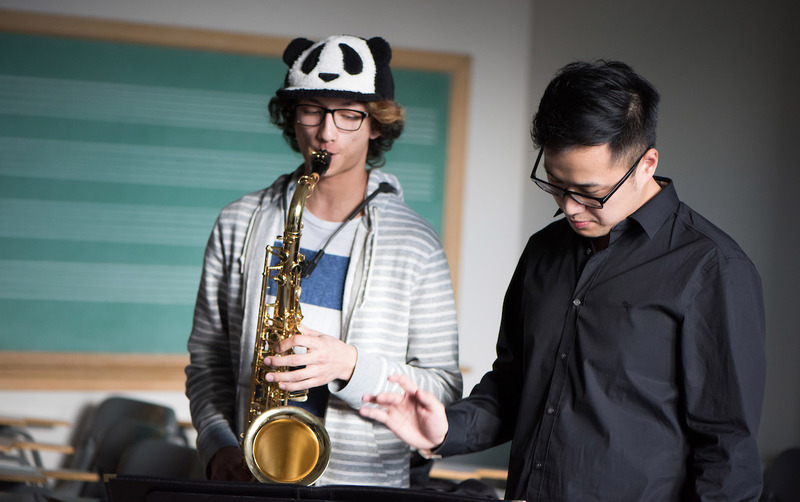 Lu, originally from the Shandong Provence of China, began playing the saxophone at age 7. His interest in continuing to play grew when he saw the effect that his performance had on other people. Now he is earning his master’s degree in music performance at the University of Idaho. “I played on a stage. A lot of people loved it, and I feel very happy when I hear the applause,” Lu said. Lu decided to study abroad in the United States to experience Western music culture. He came to U of I in 2015 after graduating from China Conservatory of Music in Beijing. After Lu completed a series of master classes taught by three American professors in Bejing, one of the professors asked if he had any interest in continuing his education abroad. In addition to taking classes and practicing up to 10 hours per week, Lu is also a teaching assistant in the Lionel Hampton School of Music. He leads a saxophone quartet, gives saxophone studio and individual lessons, and teaches woodwind technique. The language barrier between Lu and his students is a challenge, but Lu has a deal with his students that allow them to make the most of their time with each other. “I don’t always know how to say it, but I can play it for you. I teach you music, you teach me English. I give you examples with music and you teach my how to say it in English. I do that every week,” Lu said. The influence of Chinese music on American music is something Lu brings into his recitals and his classrooms. Patrick Jones, a lecturer of saxophone in the College of Letters, Arts and Social Sciences, serves as a mentor and instructor to Lu. Jones said Lu has a lot to teach the music community at U of I. “We can learn from him some of the pieces he’s brought in, some of the repertoire, the saxophone and how it came into Chinese music culture,” Jones said. Yue Lu teaching saxophone in the Lionel Hampton School of Music. One of the styles of music Lu appreciates from America is jazz. He hopes to take this appreciation back to China after graduation. “We don’t have a lot of jazz. But here, I can feel that pause in the music, very strong. I would tell my friends about jazz,” Lu said. 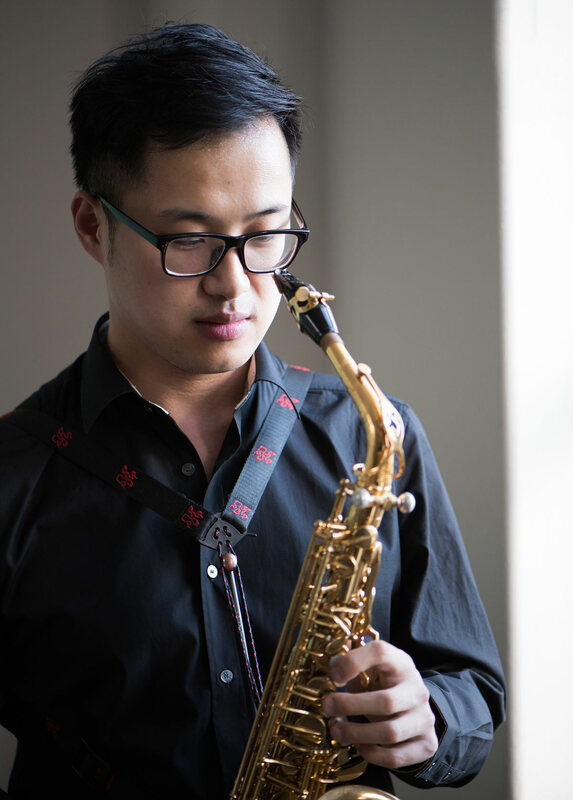 While Lu is currently considering whether to return to China immediately or to pursue a doctorate in saxophone performance, he says the experience of graduating will still be bittersweet. Lu’s final recital at U of I on April 14 featured what he has learned while still bringing his Chinese influence into the performance. “I’m a Chinese person. I’m here, I’m learning, so I want to bring some of this culture – Chinese elements - into it,” Lu said. Yue Lu with his saxophone.